If you’ve got an idea but find it hard to present on your artwork because the drawings just don’t add up, try Photoshop Brushes. Brushes are designers best friend, particularly web designers who don’t illustrate graphics much. Adobe Photoshop does comes with a basic package of brushes but it has not been updated by folks at Adobe for quite some time. Thanks to the great community of designers out there who constantly distributing and sharing their brushes, you can almost find brushes of any patterns these days. Whether you are working on a nature-related artwork looking for floral and wood graphics, or merely adding some torn, burned and cracked effects to your artwork – there’s a free brush pack out there and all you need to do is Google. In today’s post, we attempt to present you some of the high quality and good ones, those we thought would be generally useful in many occasion and definitely worth checking out and bookmark. 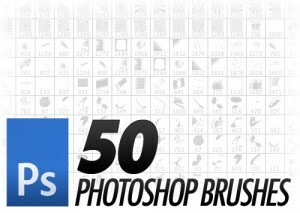 Here’s our hand-picked of 50 Free and High Quality Photoshop Brush Sets You Should Bookmark. Pack contains 8 brushes, including 2 different sized leaves, 1 astral rose, 1 astral flowerbud, 1 astral butterfly, an assortment of whispy, starspangled curves. Made with thick black poster colours. Just great for those pieces needing brush strokes with hard bristles. Can be used for grunge, stars abstract and smoke/forg effects. This set was based upon the stars of the heavens. This set, cataclysm, was designed to bring violent destruction upon the use of other sets. It has many uses and works very well for sigs. This pack includes around 80 brushes, all cracks, chips and cuts. Demolished.Cracks pack contains 12 brushes compatible with PS 7 and up! There are ten of fractal brushes in total. New style of CS4 brushes. Now with these wonderful brushes all you need is Photoshop and the brush tool selected, you’ll create floral frame brushes so awesome that you will love. A set of brushes for photoshop (created in CS3) with sizes range from about 700px to 1600px. The pack contains the the letters of the alphabet, numbers and some extras. Theres a piece of tape and some marks which could be used in white and added to the labels once they’re done to make them look authentic and cool. 152 Photoshop brushes made on Ps CS4. Metal Mesh Brush by =SocioBunneh. 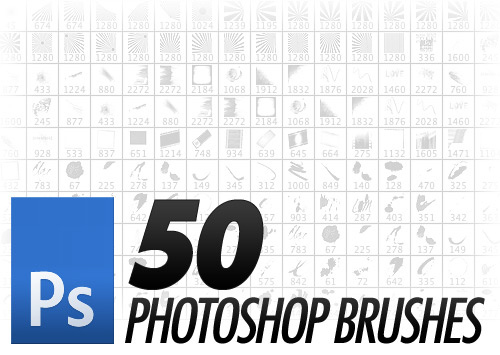 45 moon brushes for ps7, ps8, ps9, ps10. It includes 25 tiny text brushes for icons. The .zip contains an .abr file compatible with Photoshop 7.0 and up. 8 brushes for lens, film and camera. The package contains 15 different brushes made of different wall pictures. You will find cracks, scratches and dirty brushes. 8 large floral brushes, for use on headers and wallpapers. 7 100×100 floral brushes, for use on icons. These hole brushes are higher res so would be good for higher res projects as well. With this pencil brush and sketch paper action, you can quickly and easily create natural-looking pencil sketches, without the pencil! The brush takes advantage of both pen pressure and tilt to create a very natural feel and look. A pack of solid and dotted lines. The pack contains 70 cute brushes for lines, random scribbles and drawings, animals and a lot of hearts! A set of high quality (200dpi scans) 42 photoshop brushes about photography. They are more like illustrations and blueprints of various cameras and photography related processes. 20 handdrawn musical note scribble brushes. There are just 3 smokes per vol. All of them are more than 1300 px. Several different variations and sizes of syringes. A set of 7 pen brushes.